There are a lot of great things about the band BTS. On the one hand they have great music, but they’re performances are really good too. I like how they have such a timeless style. When are young but they have a sense of charm and sophistication to their fashion. I especially like when they where they’re simple suits. What can the fans wear? Well, we’ve got plenty of merchandise. One of my favorite things is my BTS notebook. I use it all the time to take notes. IT’s great that I can take it with me practically everywhere I go and it’s like I take BTS songs with me! This is the great thing about getting a band’s merchandise. Even though they are halfway across the world in South Korea I can still have them with me. When I’m at school they can keep me company. When I go home, they are there to cheer me up. The notebook I got is one from Redbubble which has all the members on it. It’s a really nice picture of them from one of their album covers. I like to see them all together more than seeing them individually. I mean, I like them as individuals, but I like seeing them as a group more. I noticed that most of my BTS merchandise features them as a group in the picture. I have some BTS stickers and practically all of them have the whole band. I didn’t do this on purpose, but I noticed it later when I was looking at all the BTS merchandise in my room. The BTS poster I have on my door also has all of them. It’s nice to see their smiling faces as soon as I wake up. It a bright red background with all the Bangtan Boys leaning forward and smiling at me in the morning. It’s my favorite poster, but it’s starting to get a little worn since it’s on the door. I open and close my door at lot so I guess the wind from that has made the poster pull on the tape I stuck it up there with. If you do get a BTS poster, I would recommend putting it somewhere with less traffic like a wall you don’t go near and no one will run into. I still keep mine on my door because that’s where I’ll see if best, but it’s just something to keep in mind. I could move my bed so that I could put my favorite posters on the wall opposite of it and it won’t get messed up. That’s something I could do in the future. Someone suggested that I put the poster on the seeing since I like to see it when I wake up. But, I have that popcorn style ceiling and nothing will stick o it. I know you can get rid of it, but I don’t want to just get rid of it above my bed, and I don’t want to do the whole ceiling. It just seems like to be of a project for me right now and I think it would be a better use of time and money to just buy another poster! They don’t cost that much. I don’t think I’ve ever seen one for more than $25 dollars and that was for a really big poster. It’s probably too big for most people anyway. So, buying a couple of spare posters is definitely smarter than redoing your whole bedroom if your poster happens to be subject to more wear and tear than you like. I have another poster across from the door so that I can see it as soon as I walk in. That’s another really good location and it doesn’t get messed up as much. I can see my BTS stuff I got from http://btsmerchandise.com/ as soon as I go into my room! The one danger about getting your posters ripped and messed up is that you may not always be able to get the same one again. The store you bought it at may have new posters and other merchandise, but they may not have the one you wanted or are looking to replace. One thing you could try is to go to a site like Zazzle are make it yourself. You need a high res image so that it won’t look good. It actually has to be a certain resolution or they won’t even make it for you. I guess they don’t want people trying to force using blurry images and then complaining about it being blurry. Google collects details about every page to the web so individuals could locate what they need. If you’re an internet site owner search results issue you require greater positions to obtain located. Ensure your website has the components to place higher using online search engine optimisation (SEO). Ask yourself some vital inquiries to guide the web content you compose – just what are several of the most typical words as well as phrases your consumers make use of to define your industry, product and services? And just what web content is going to reach the largest, most relevant audience for your site? Devices like Google AdWords’ Keyword coordinator could give you ideas as to what the primary key words focus should be and also show prominent and competitive key words. Google Trends helps you evaluate your search engine optimization and gather even more key words to gauge interest by time and region. You can analyse the appeal of a key words with trending data, get a fast snapshot of preferred information headlines over time or even see relevant searches for more keyword phrase concepts. seo copywriting entails writing web content that urges internet search engine to send you one of the most important website traffic, and urges viewers to share and connect back to it. That’s right, Google cannot recognize exactly what your pictures have to do with, so include keywords, the image file name and also Alt text for search engines. Picture inscriptions enable for the image to rank for the a lot more relevant terms by sending stronger relevance signals. 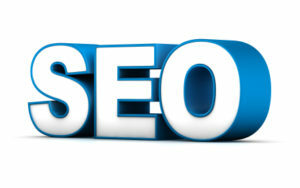 Title tags establish the relevance of the web page. It preferably needs to be a concise, accurate summary of the content of that web page. Area appropriate key phrases near to the front as well as adhere to a suitable 70 character limit. You could see the title tag on the heading of your short article. A Meta Description Tag exists as a brief summary of a web page’s content and also Google does not in fact utilize this tag for determining rankings. It does engage your readers when it shows up in the minute when they’re choosing to click on your site. Headings are pieces of HTML code that assist you make particular words stick out on a web page. H1 headings are the most important where they provide a clear summary of the web page. You ought to consist of keyword phrases where feasible. Here’s our high school football video. Enjoy!